What is Night Photography Week? On July 27th, 2016 I drove down highway 395, East of the Sierra Mountains to meet my CreativeLive buddies. We were meeting at the Alabama Hills outside the small town of Lone Pine, California to film the first course for Night Photography Week. While we were there, we ended up witnessing something was beyond anything we could have possibly imageined. But more on that later. 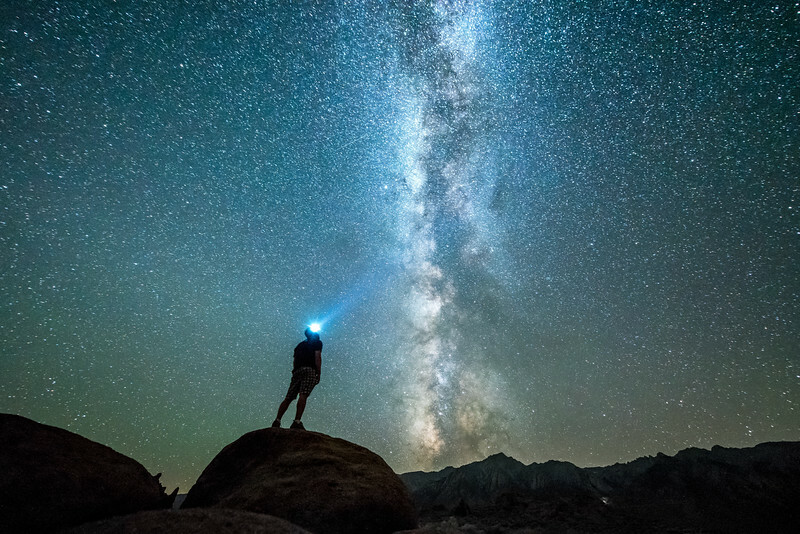 Night Photography Week is a 5-day series of online video courses taught by the pros from National Parks at Night. 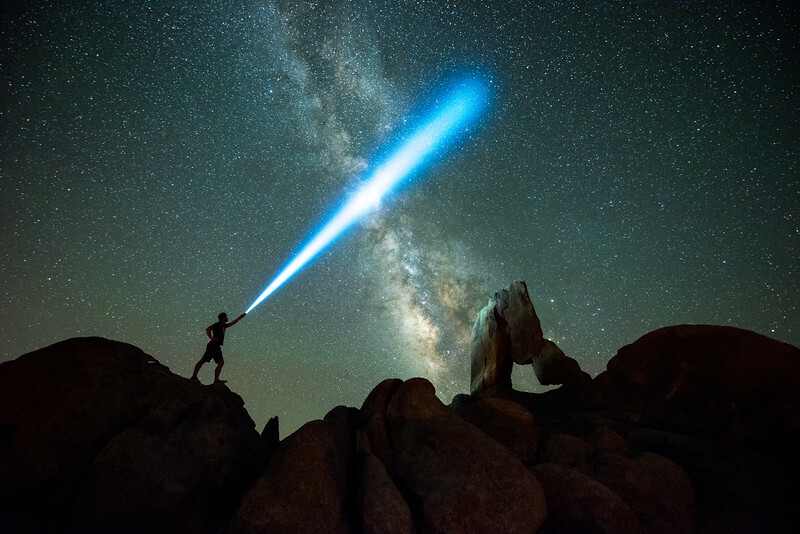 CreativeLive filmed all these courses on-location (such as the Alabama Hills), and cover every technique and tip that you could need to be able to take incredible pictures at night. 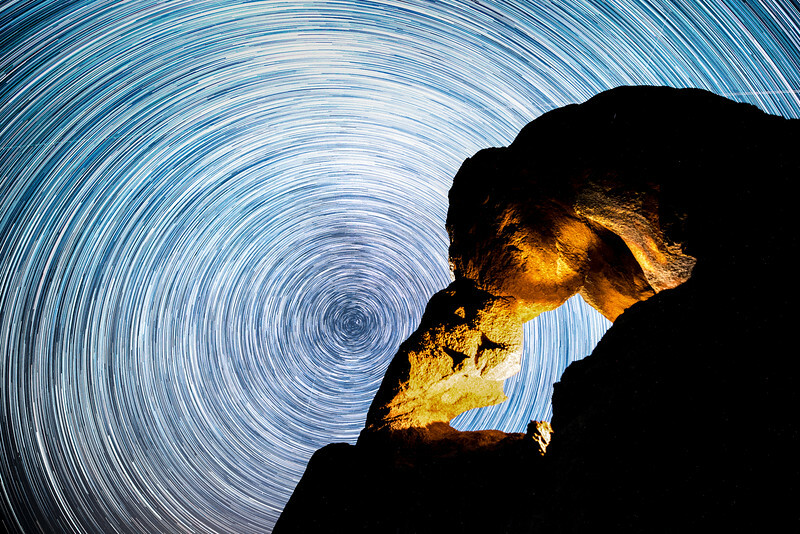 Everything from the Milky Way and star trails, to light painting and night portraits. The goal of driving down there was to assist in the filming of the first course that we were filming, and to capture some dramatic images for use in the marketing of the event. In fact, the video below was made with the time-lapse footage that I captured while there. Mission accomplished. Watch the video, it's pretty cool (if I do say so myself). Take a look at some of the kinds of night photography techniques that you can expect to learn in this awesome 5 day long online course. All these tips, techniques, and way way more will presented during Night Photography Week. I highly recommend you check it out and watch the free preview in order to learn some "stellar" things (see what I did there?). 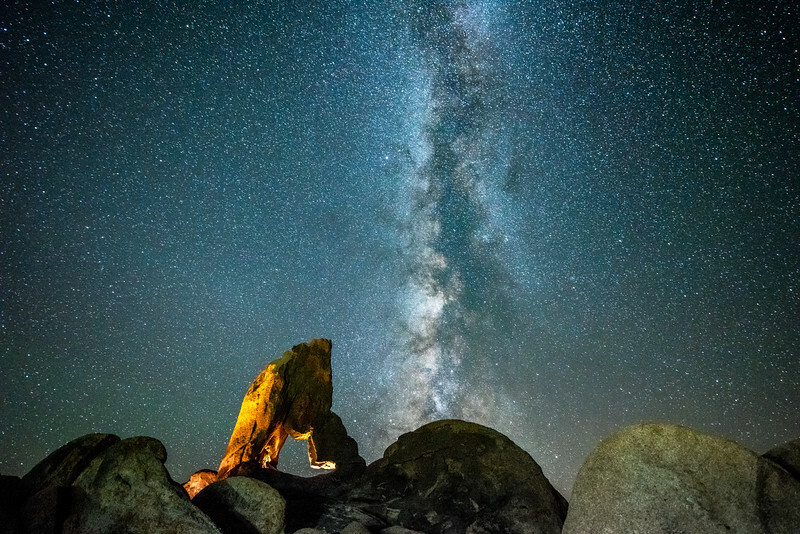 Over the three nights that we were there in the Alabama Hills, we saw a lot of amazing things. Beyond the incredibly bright and vivid Milky Way, watched the sun set dramatically over the Sierras, and we saw an insanely active meteor shower. Even though we were able to capture amazing footage in that video, it of course doesn't even come close to what it was like to witness it in real life. By the way that's my voice in that video, asking "is this the one that killed the dinosaurs?" I wrote an article on the CreativeLive blog that describes in more detail what we saw and how we were able to capture it. After that incredible event, we went on to film the first of the five courses of Night Photography Week. That night we covered star trails, Milky Way photography, and the basics of light painting. Having been there and being a part of filming that content, I can say with confidence that the content and learnings are awesome. Check it out.